I made my daughter a tutu. 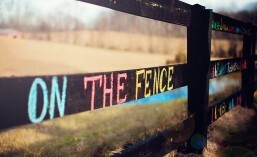 It was so fun and gave me an opportunity to get creative. Never knew I would be able to make one. Turns out I could, and you can too. I didn’t want to order the materials online and wait indefinitely, and instead went to Walmart. What do you know, they sell tulle rolls in the crafts/fabrics section. I decided to go for a ribbon-tie version instead of elastic waist with my first tutu. I figured that when she gets too big for her tutu, I can always untie the knot that holds it together, and loosen the material a bit to make it wider for her to keep wearing it. And I just loved the idea of having this pretty ribbon bow in the back. BUT THEN I made my second tutu for fun with the advice I found online to use an elastic hair band (the kind they sell in packs anywhere, dollar stores included). I was impressed, it was also very easy and if you have a small and super active child, it’s perfect. Just keep tying your tulle around the hair band, and it is stretchy enough to fit different waists. I used a ribbon at the end, just tied it like the rest of the tulle to the elastic, and made a bow out of it. It was very simple. My daughter is 3.5 y/o, and I decided to make her a tutu with 3 colors. Her waist was 21″ and tutu length 10″. 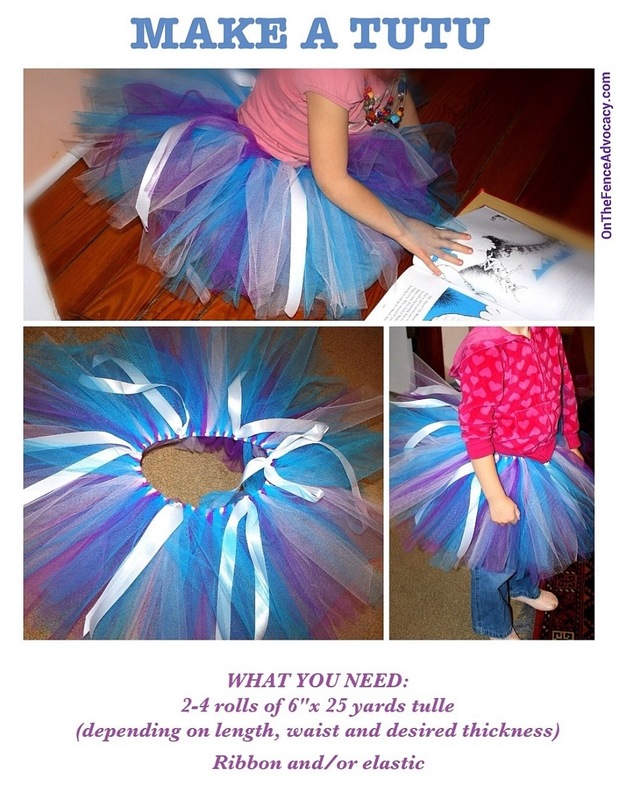 I also wanted a really full and fluffy tutu, and bought 3 rolls total in blue, purple and pale pink. Surprisingly, I managed to make 2 tutus out of these materials, and roughly 60 tulle strips per tutu. Then I bought some white ribbon. Took me 1.5 hours to complete this project with 2 tutus. I think if you are making a longer and much fluffier tutu, you will end up using close to three rolls per one. And without the ribbon it is even cheaper. I used this tutorial, highly recommended. Simple and easy to understand. And if you think you still want to use an elastic instead of a ribbon-tie kind, just measure the waist and lose a couple of inches, they say the elastic stretches when you start tying the knots with tulle on it. This should do the trick. GOOD LUCK and have fun! Take two pieces of tool and fold them in half creating a loop. Put the loop in front of the ribbon.